Born in 1480, in Córdoba, Spain. He was also known as Sebastián de Belalcázar, a Spanish conquistador (or conqueror). He is attributed to be the instituter of early colonial cities in South America, the northwestern areas. Such as Quito, Ecuador in 1534 and Cali, Pasto, Popayán, Colombia in 1537. Benalcazar led explorations in Ecuador and Colombia. 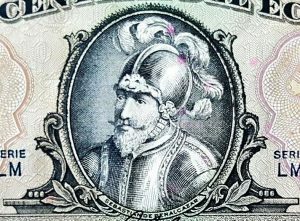 While in the post of commander under Francisco Pizarro (Conquistador of Mexico), he was overseeing the settlement of San Miguel, Mexico. Short after his duty time, Benalcazar set off to conquer new land, to make a name for himself. He went to Quito in Ecuador, this conquest or expedition was not ordered by Pizarro. Quito city was under the Inca Empire, and it was Benalcazár who defeated the Inca chief general; Rumiñahui. He then founded the new city of Quito along with Diego de Almagro and Baltasar Maldonado. 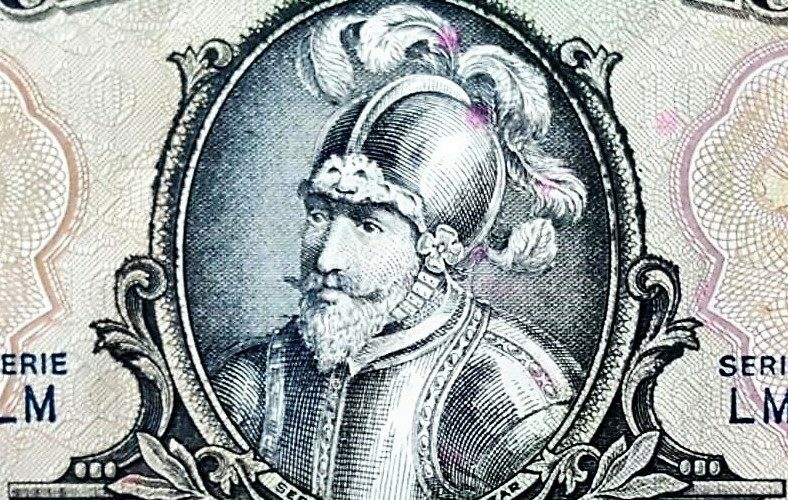 Sebastian Benalcázar gave homage and honor to Francisco Pizarro by naming Quito to “San Francisco de Quito”. Moving northward from Quito, Ecuador into present day Colombia in 1535, he entered the Cauca River Valley, establishing the southwestern Colombian cities of Santiago de Cali in 1536, and Pasto and Popayán (next in importance after Quito) in 1537. Outside of the Cauca River Valley, he ventured to the Magdalena River Valley, he crossed the highlands of central Colombia, which had also been explored by Gonzalo Jiménez de Quesada and a German national; Nikolaus Federmann, in 1539. The three had a squabble about the land that they claimed, for which it led to a dispute before King and Roman Emperor: Charles V. The King granted Benalcázar to be the ruler of the disputed areas. As years passed by, other prominent explorers (or conquistadors) wanted to claim their stake in the land, this time it was Pascual de Andagoya (1495–1548), who also claimed lands that Benalcazar had. During this period, Benalcazar successfully defended his territory, while doing so, he gained some of Andagoya’s land that he claimed. Benalcazar was ambitious and wanted power, even to the point of silencing powerful people in office, in this case eliminating a governor. In 1546, he ordered the execution of Jorge Robledo, who governed a neighboring lands. There were other situations, where Benalcazar had disputes, and these were brought before the king, the killing of Jorge Robledo led into a conviction. Even though he was not extradited to Spain, but in 1550 in absentia, he was convicted and condemned to death. He was sentenced to death in Cartagena, Colombia, in 1551, but died of natural causes, instead of death penalty. Do you know of any prominent people that made history? You can share your thoughts and comments below. LEAVE REPLY Click here to cancel reply.